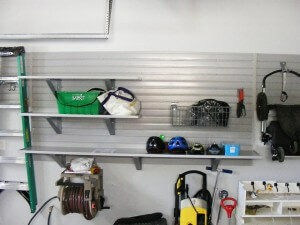 All of our items are neat and secure and easy to access, and we can finally get both cars in the garage! This busy professional couple with young children was frustrated with being able to park only one car in their two-car garage. A variety of large items had taken over the spot where the second car should’ve been parked. 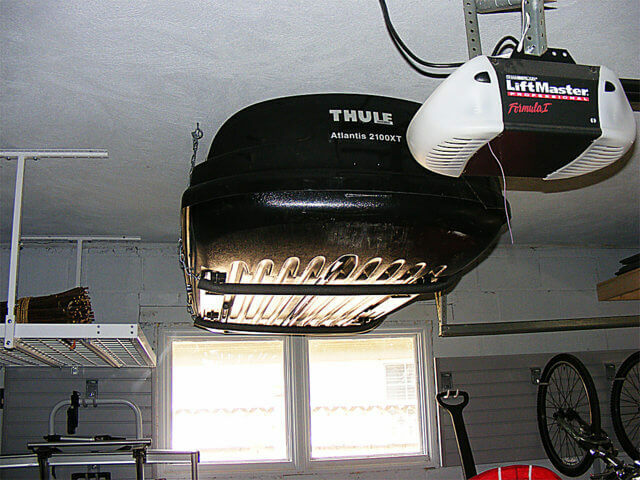 With winter approaching, the family sought a quick, affordable garage organization solution. 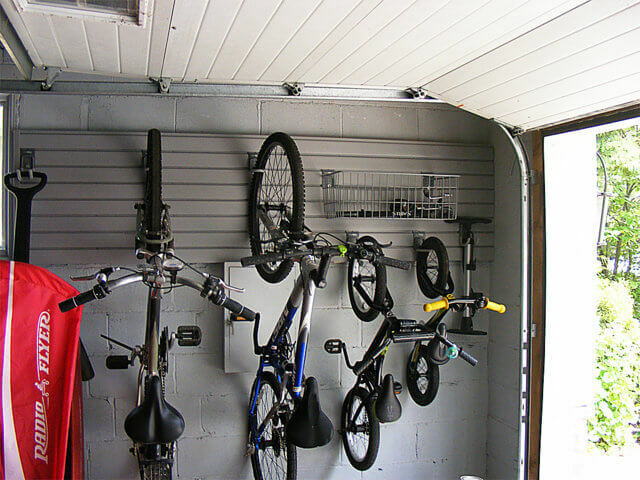 They requested a garage renovation that would make room for their second vehicle while also accommodating their seasonal gear and other large items. The family enjoys spending time outdoors. 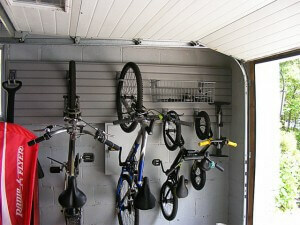 They needed to store their bicycles and sports equipment. Bulky items like strollers and large riding toys for the children also had to be accommodated. These items were taking up valuable storage space along the perimeter. The garage also housed ladders and gardening tools. To maximize the space in this two-car garage, it was essential to clear as many of these items as possible off the floor. However, doing so presented a challenge. 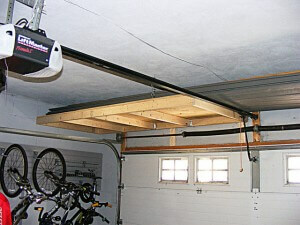 My first order of business was to create essential floor space by installing slatwall along the perimeter of the garage. However, the walls were comprised of construction concrete block. Screwing the slatwall directly into the concrete block wasn’t an option. Instead, I framed the walls with wood studs first. Once the framing was in place, I installed a 2′ band of slatwall on the right and rear walls and a 4′ band on the left garage wall. 4’ x 8’ steel storage racks in the overhead space. This provided an area where the family could stash light, seasonal items. Three other items proved to be a bit challenging. The family needed to store a Thule roof box, seasonal tires and several long panels of vinyl siding. Rather than just finding a place to stow the Thule roof box, I created a custom, ceiling-mounted sling. The sling stores the Thule, provides easy access to it and makes mounting the roof box on the family’s vehicle a snap. To accommodate the tires, I installed two tire racks. 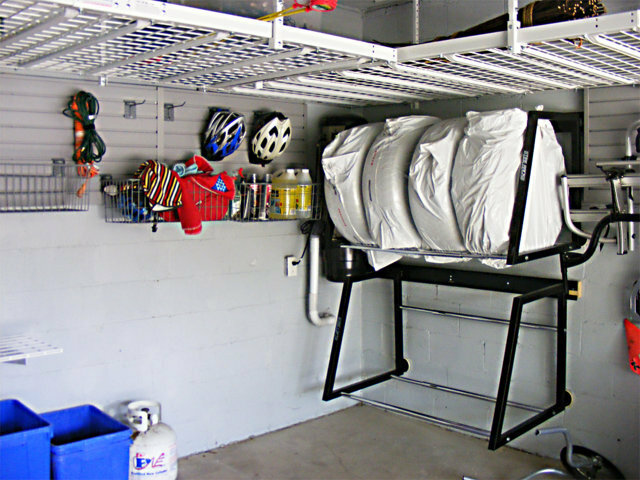 The racks provide above-floor, easy-access storage for off-season tires and rims. 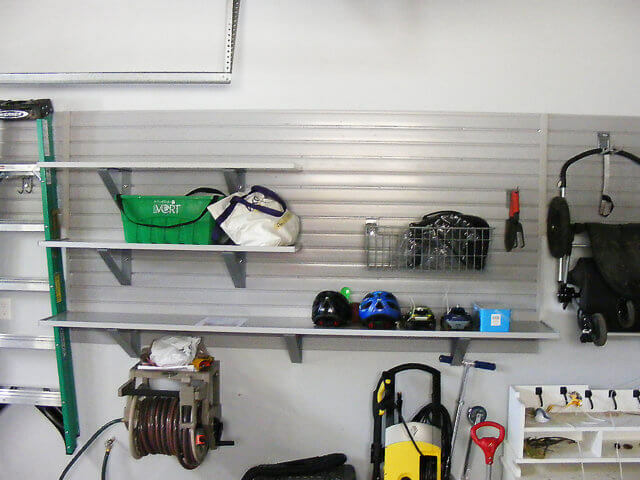 Lastly, to make room for the long panels of siding which were previously stored outside, I constructed a custom ceiling storage shelf above the garage doors. 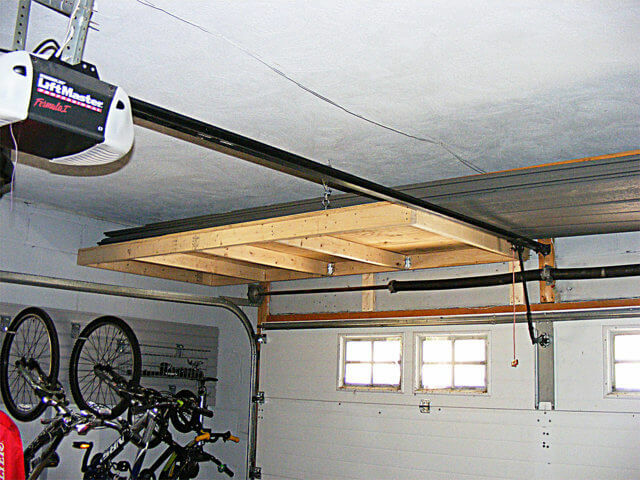 In just two days, the garage was transformed into an orderly space which accommodated more items, yet permitted the family to park both cars inside the garage. The entire project cost $3500—even with the custom shelving that had to be constructed. Now, this busy family is thrilled that they’ll be able to bring both cars in from the cold and have space for all of the things that are important to them.